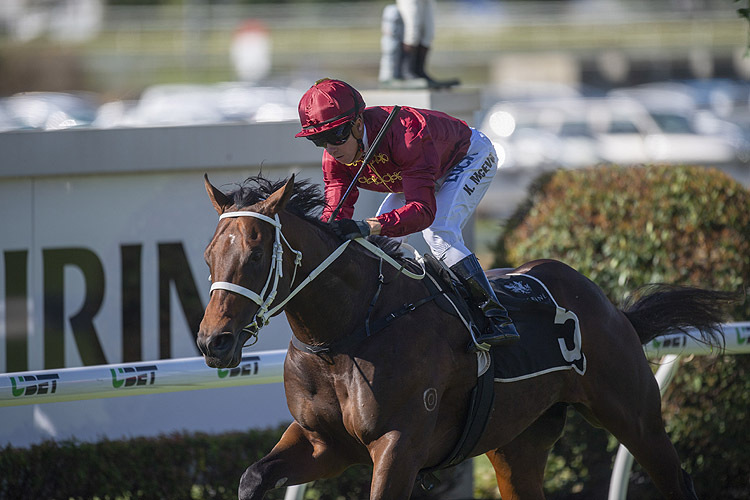 Zousain has had a setback ahead of the Golden Rose with the Chris Waller-trained colt being treated for an elevated temperature. Leading Golden Rose contender Zousain is being treated for an elevated temperature less than two weeks from the Group One race. The Chris Waller stable told Racing NSW stewards Zousain had a mildly elevated temperature on Monday morning and would be treated with antibiotics and monitored closely. He will have a blood test on Friday to determine whether he is all right to gallop the following day. Waller has said he will keep stewards informed of the colt's progress. Zousain, who finished fourth in the Group Two Run To The Rose (1200m) won by stablemate Lean Mean Machine on Saturday, is at $9 with the TAB for the Golden Rose (1400m) on September 22. Graff, second to Lean Mean Machine on Saturday, is the ruling $4.60 favourite with Lean Mean Machine and The Autumn Sun on the second line at $7. Zousain's sire Zoustar, who was also trained by Waller, won the 2013 Golden Rose.